There is one sure way that you will know exams have ended in Laura’s flat (other than the non-stop West Wing marathon and a general failure to wear anything but pyjamas for at least a week) and that is a sudden massive increase in the size of the book stacks. Since finishing my final exam at 5:45pm yesterday, I have managed to acquire a total of eight new books (the perfunctory post-exam grocery shop obviously involving visits to three different book stores). Everyone has a different way of marking that sudden onset of calm after a lengthy period of stress – usually involving fairly excessive alcohol consumption or a long holiday somewhere that the sun actually shines. I choose an alternative route to relaxation, one that involves a genuine concern that I will be crushed to death by a falling bed-side bookstack. With a big reduction in my (non-textbook) reading time during the revision period, I have thrown myself back into the books with enthusiasm. I owe you a couple of reviews of the books that I did manage to get through over exam time – Three Men in a Boat by Jerome K. Jerome and About a Boy by Nick Hornby – which I will be delivering this week. In the meantime, here is a snapshot of my current reads. You may recall my review of Jasper Fforde’s The Eyre Affair, written to coincide with World Book Night (WBN) and in recognition of the book’s (well-deserved) place on the WBN list. 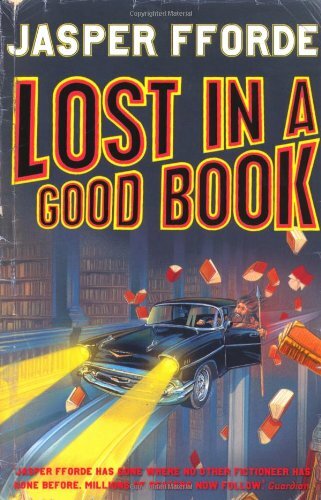 When trying to choose the most immediate of my post-exam reading adventures, I knew that Lost in a Good Book – the second book in Fforde’s Thursday Next series – would offer the escapism I was looking for. Lost in a Good Book follows literary detective Thursday Next as she attempts to unravel the circumstances surrounding the mysterious disappearance of her husband-of-one-month, Landen Parke-Laine. After Thursday’s defeat of the malevolent Acheron Hades in The Eyre Affair, she finds herself thrust once again into the sinister world of the Goliath Corporation and its attempts to free Goliath operative Jack Schitt from Edgar Allen Poe’s The Raven. Lost in a Good Book is the perfect follow-on from The Eyre Affair. A combination of hilarious satire and the best of literary allusions, I am so glad that I picked this up to mark the onset of summer freedom. Jasper Fforde truly offers the most enjoyable kind of escapism for bibliophiles everywhere. I am lucky enough to have a variety of people around me who are more than willing to throw some literary recommendations my way. So when my friend Maggie (credited with introducing me to the wonders of Charles Dickens) suggested that I give Anthony Trollope a go, I was on it like a shot. While I think that I have a fairly broad appreciation of the classics, the sheer number of fantastic classics on offer means that there are still substantial gaps in my knowledge. The choice can, in fact, be truly overwhelming. Getting some direction from other readers who want to share their favourites is, therefore, unbelievably helpful. Barchester Towers is actually the second in Trollope’s Chronicles of Barsetshire series, offering a comic journey into the world of the Barchester clergy. Following the death of the Bishop, the city gains a new leader in the form of the evangelical Bishop Proudie. The story of Barchester Towers centres around a conflict between the Bishop’s truly vulgar and tyrannical wife, Mrs. Proudie, and devious chaplain, Obadiah Slope (if I tell you that Alan Rickman was cast as Slope in an adaptation of the book, you will have an excellent idea of the character). 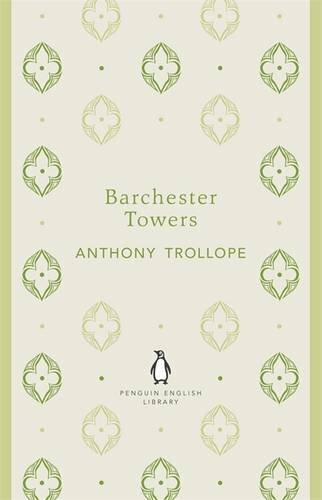 It has been promised to me that Barchester Towers is Anthony Trollope at his best – a cutting and expertly constructed satire that considers the politics of religious life in Victorian England. So far, it is certainly delivering on expectations! Isherwood’s Berlin Novels have been on my To Read list for a long time, really since watching an excellent BBC dramatisation of Isherwood’s life in Berlin. I am also a big fan of Isherwood’s most famous work A Single Man (nothing, of course, to do with the film adaptation starring Colin Firth). Having served its time as a ‘prospective’ read, the book has finally completed the journey to its What I’m Reading Wednesday destination. The Berlin Novels actually comprise two separate stories – Mr Norris Changes Trains and Goodbye to Berlin. Both are set in the early 1930s, mirroring Germany’s political transition and Hitler’s rise to power. Mr Norris Changes Trains follows the friendship of the story’s narrator, William Bradshaw, with the enigmatic Mr. Norris. After meeting by chance on a train to Berlin, it becomes clear to William that Mr. Norris is in possession of some serious secrets. As the novel follows the strange friendship between the two men, it also depicts the forces at work in pre-war Germany. Similarly steeped in pre-war atmosphere is Goodbye to Berlin. 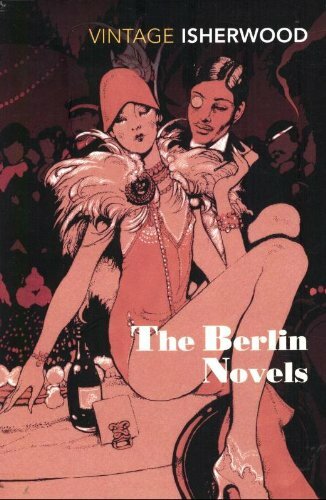 Intended as a semi-autobiographical reflection on Isherwood’s time in Berlin, the novel follows a variety of characters to evoke the excess and glamour of society. The book considers the social circumstances of the growing power of the Nazi party and observes this infamous historical period with astonishing sincerity and objectivity. So those are the works currently on the go. All worthy as features of my post-exam celebrations. To those of you currently in the throes of stress (whether exam-induced or not), I thoroughly recommend the literary relaxation route. Although a holiday in the sun would also serve the purpose!